I was working with his mom to relocate his life closer to family. It was her way of taking care of him before she passed away and left him alone. He was in his early 20s and had lost his father in an accident many years earlier. His mom was fighting ALS, Lou Gehrig’s disease, and in declining health. ALS robs a person of their physical capabilities, but leaves the mind intact. She needed to sell her home and purchase closer to family before time ran out. We completed the move to get him closer to his aunt and uncle. His transition to life without parents would not be easy, but it did help to be closer to family members. Through the transition, we became very close with each other – it was an emotional life moment for all of us. I was more than their Realtor. After the closing, I asked if there was anything else I could do for him beyond real estate guidance. He replied, “find me a good Christian woman to marry”. I kind of smiled and then realized, he was serious. A few months went by and I thought a lot about his request, but finding the right girl wouldn’t be easy. Then it happened – the right young lady came to mind. I knew her parents as well and had their approval on making an introduction. After numerous attempts from me to encourage her to accept his friend request on Facebook, they finally met online. The first date came soon after and would you believe it – a match was made. 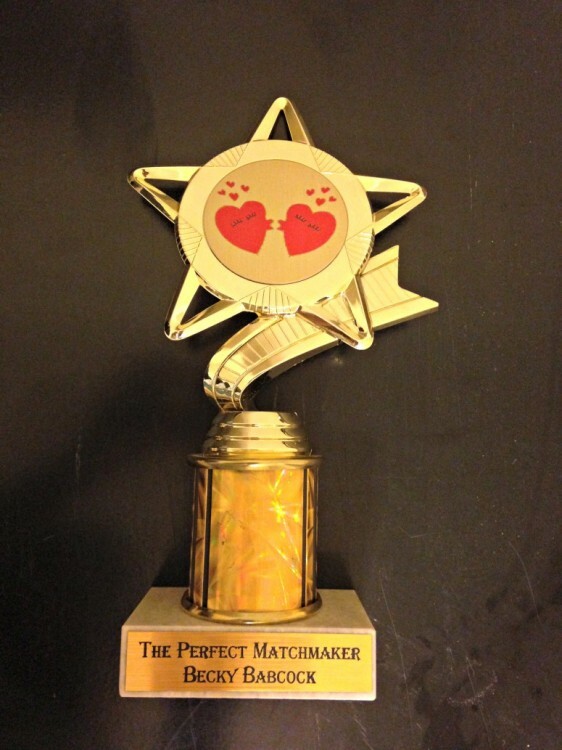 They’ve since celebrated their first anniversary, but during their engagement they presented me with the best award I’ve ever received… The Perfect Matchmaker. These unexpected outcomes in life are the moments worth capturing, worth remembering, worth cherishing. Our agents write often to give you the latest insights on owning a home or property in the North Metro Atlanta area. Let me know how I can assist you with your North Metro Atlanta mortgage needs. I am here to help!